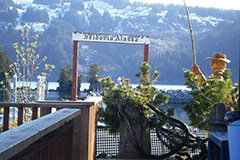 The Corporation also owns a large commercial property on the waterfront in the City of Seldovia. The property once a grocery store operation housed with an eight-room hotel suite above the store. The store and hotel operations were discontinued in 2009. The company is assessing future uses for the property which has a commanding view of the picturesque Seldovia Bay. 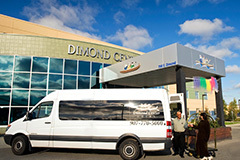 The Seldovia Native Association owned and operated Dimond Center Hotel proudly boasts in a 109-room, upper mid-scale service hotel located in the heart of the booming south side of Anchorage. This profitable venture sits adjacent to the ever expanding and upgrading Dimond Center Mall (having recently added Chili’s, Olive Garden, H & M and coming soon, Dave & Busters), providing easy access for our valued customers for a myriad of shopping experiences. The Dimond Center Hotel recently opened on site the Old Cannery Bar which features a varied menu selection of fresh dishes to satisfy any palette and a full range of Alaskan beers and exotic and mixed drinks. In an ever-competitive environment with several new hotels coming online annually, DCH has set all-time net profit records while recording larger than our fair share occupancy indexes within these competitive and volatile environments. These results were only achieved by working with a decisive Board of Directors who listened to hotel management and empowered them to make changes and adding new facets such as the bar to keep DCH fresh and competitive. The hotel management team is proud to be a part of the winning culture of Seldovia Native Association and the distinction of representing and operating profitably the Dimond Center Hotel to provide Shareholder value and annual dividends. Red Mountain, LLC was formed in 2004 and is wholly owned by Seldovia Native Association, Inc. 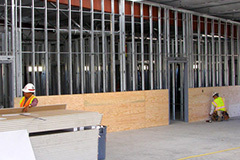 The company expanded by opening an office on California’s Central Coast in 2009 and has successfully been procuring and managing projects at area military bases since that time. Red Mountain, LLC has unique rights granted by the United States Congress to Alaska Native Corporations (ANC’s) and Native American Tribal Enterprises (Tribes) in the Federal Procurement Process.